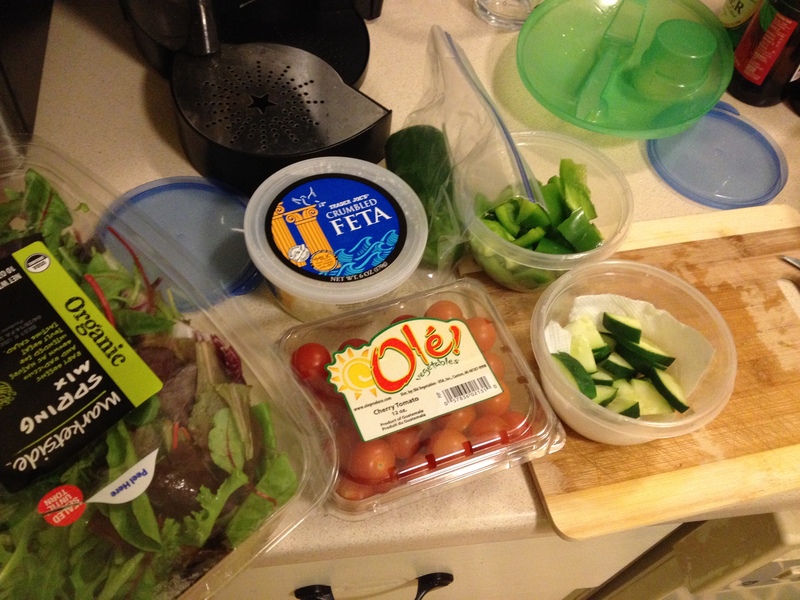 I am pretty predictable when it comes to my lunches at work…4 out of 5 days I usually bring the same salad, and while I should be sick of them by now, I’m not! 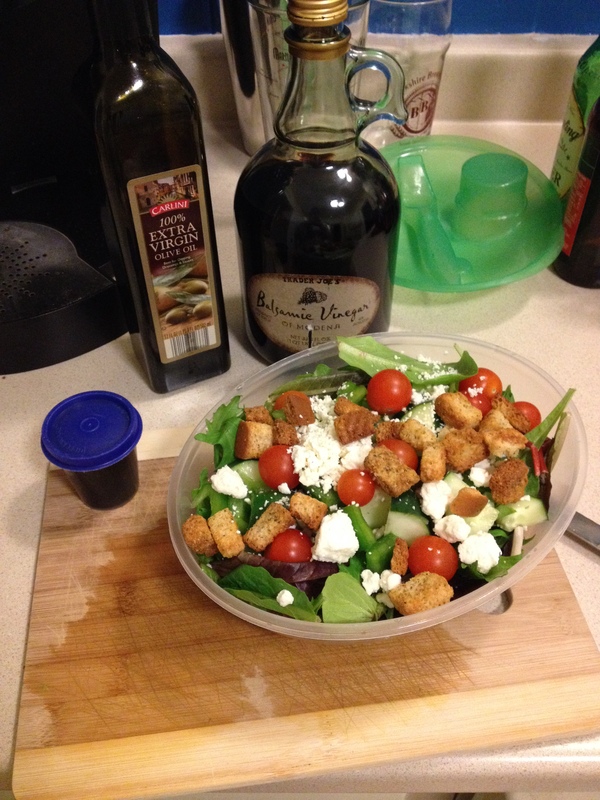 I love the combo of the feta with the balsamic vinegar, and I like the mixture of spring mix and spinach. I try to have a salad for one meal a day, because it’s a great way for me to get my daily servings of veggies, while the feta provides protein and the volume of veggies keeps me full. On days when I work at my bartending job, I have a Greek salad with steak tips while I’m there, because they make the BEST steak tips; I will have to post a picture of that the next time I work. I usually cut all my veggies on Sundays, that way during the week I just have to throw everything together in a Tupperware and bring it to work!